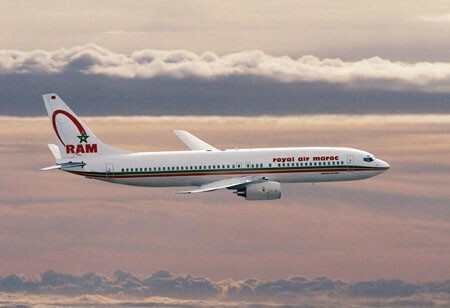 Royal Air Maroc, or RAM, also plans to purchase as many as 20 medium-haul aircraft and five long-haul aircraft, Rabbah said in a telephone interview. With a fleet dominated by Boeing Co. (BA)jets, the carrier’s most recent major purchase was in 2001, when it ordered four medium-haul Airbus SAS aircraft. The timing of the tender and delivery of the planes “depends on how the situation of RAM evolves,” Rabbah said. In 2011, the government provided Royal Air with a $180 million bailout, and the airline dismissed 30 percent of its workforce. A partial sale of RAM has been on the table for decades but never came about as it struggled to sustain profitability, despite a monopoly status on domestic flights. Morocco’s government said in 2010 it hoped to double the number of tourist visitors to 20 million by 2020 and more than double tourism receipts to 140 billion dirhams. “We restructured the firm to help it accommodate the tourism development strategy,” Rabbah said. “RAM has every interest in striking a strategic partnership” with a major airline, “and even sell a stake of its capital if this helps the partnership,” he said.